Google Chrome extensions have always been a great way to extend the functionality of Google Chrome in tune with the needs of each and every individual. We have featured here before incredible collection of Google Chrome extensions for enhanced security and privacy while browsing and now here is another collection which are going to help a lot among you to manage time better and become more productive and efficient in the process. 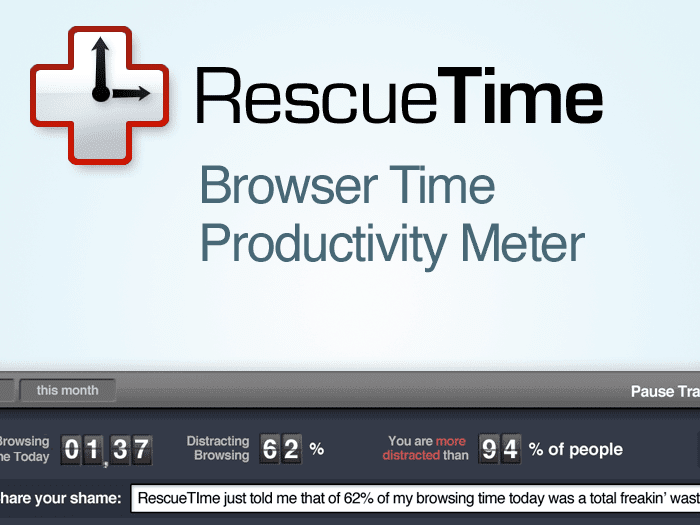 RescueTime sits in the background and measures which site is in focus and for how long. It shows you your total time spent on Google Chrome, what percent of your browsing is "productive", and how your browsing productivity compared to hundreds of thousands of users across the world. 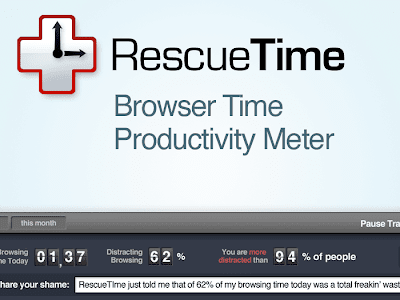 RescueTime’s worldwide userbase has helped assigned productivity scores to tens of millions of sites. 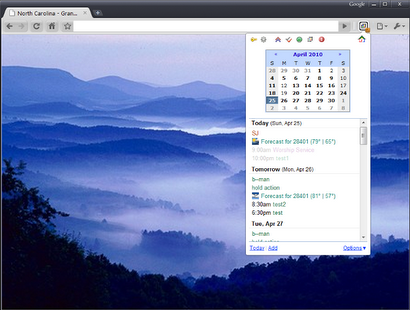 DayHiker Chrome extension is for Google calendar. You will be able to check schedule and tasks from toolbar. Other features include: A next event tooltip with countdown and reminder badges, current date and time in tool tip, URL alarm clock, Miniature calendar and schedule listing, weather and shared feeds from main calendar among others. Title Time Tracker shows in the page title how long the page has been in the opened state(see the highlighted part of the screenshot above). 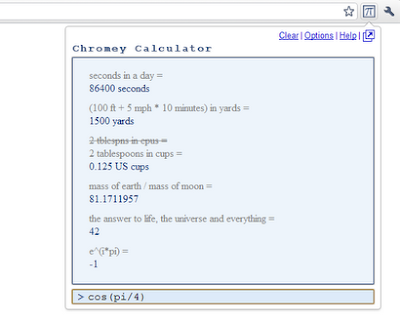 Though I have to add that I was not able to make it work properly from Chromium browser(time only appears on tool tip). 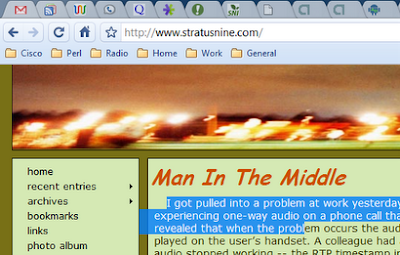 StayFocusd Chrome extension helps you do just that, staying focused. StayFocusd is a productivity extension for Google Chrome that helps you stay focused on work by restricting the amount of time you can spend browsing time-wasting websites. Once your allotted time for the day has been used up, the sites you have blocked will be inaccessible for the rest of the day. Highly configurable as well. FastestChrome extension lets you browse a lot faster that you normally do. FastestChrome is very easy to use and has a number of unique features. Read more about it from the below link. 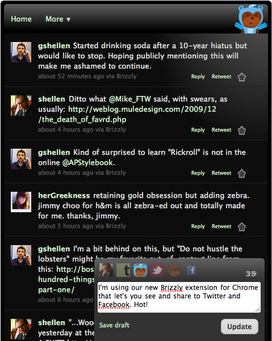 Brizzly makes Twitter and Facebook simpler and easier to use. You will be able to see and share photos, videos, searches, lists, and a lot more. But you have to be really careful with this since using a lot of Twitter and Facebook will be totally counter productive. Anyway, Brizzly simplifies your browsing and updating experience, no doubt about that. Auto Copy enables automatic copying of selected text to the clipboard. Auto Copy has options for copying as plain text; including the URL in the copied text; etc. Incredible StartPage is simply a productive startup page for Chrome. 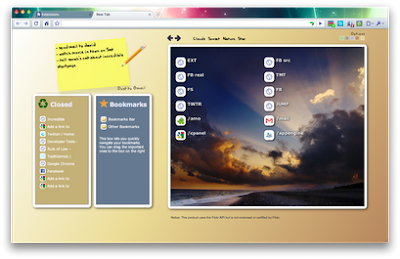 Incredible StartPage is a productive start page replacement for Chrome. You will be able to put all your favorite bookmarks in a beautiful frame which makes them easily accessible. Incredible StartPage is a featured extension by Google. 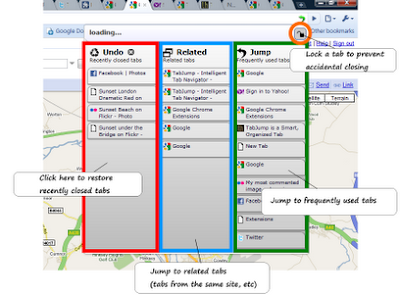 TabJump extension lets you navigate through the tabs a lot more efficiently. Its basically a new imroved way of navigating through your tabs. 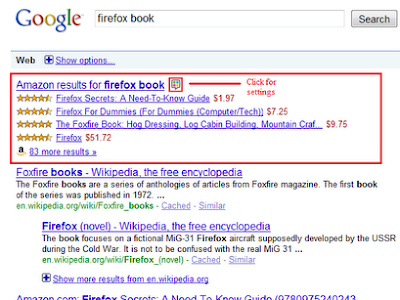 You can easily access most used tabs, associated tabs, and closed tabs. It allows tab locking too. TabJump highlights frequently used tabs and related tabs so you can easily jump between them. Quick Access lets you access your favorite websites quickly and easily, saves you a lot of time. 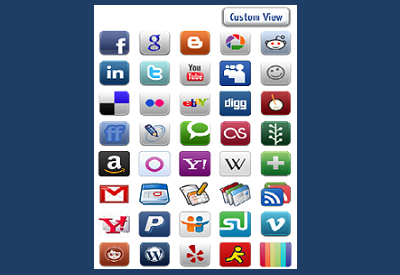 All you need to do is to click on the icon to have instant access of your favorite website. Chromey Calculator is a versatile scrolling calculator for Chrome. Results are generated using Google and Wolfram|Alpha. Time Tracker Google Chrome extension keeps track of how much time you spend on various web sites. You will be able to create a clearer pattern of your daily browsing habits. 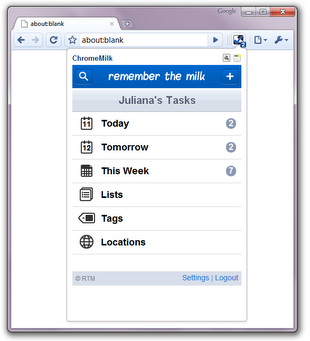 ChromeMilk extension lets you access your tasks right from your Chrome toolbar. 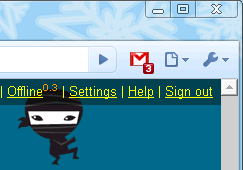 Clicking the button can show a popup with RTM's iGoogle, Gmail, or iPhone gadgets, or just open the RTM page when clicked. The button can also show the number of incomplete tasks due today, or a custom search. 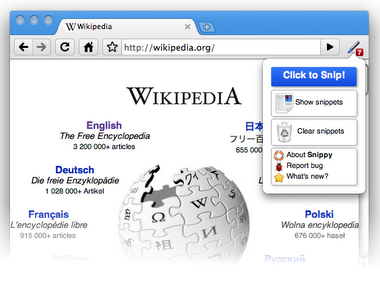 Snippy allows you to grab snippets of web pages, save them for future use and upload them to Google Docs. Snippy capture rich contents and preserves formatting, so you can capture paragraphs, images, links and more. Google Mail Checker displays the number of unread messages in your Google Mail inbox. You can also click the button to open your inbox. Hope you had a good time browsing through those incredible Chrome extensions. If you are a Firefox user, here are some Firefox addons for a more secure browsing experience.